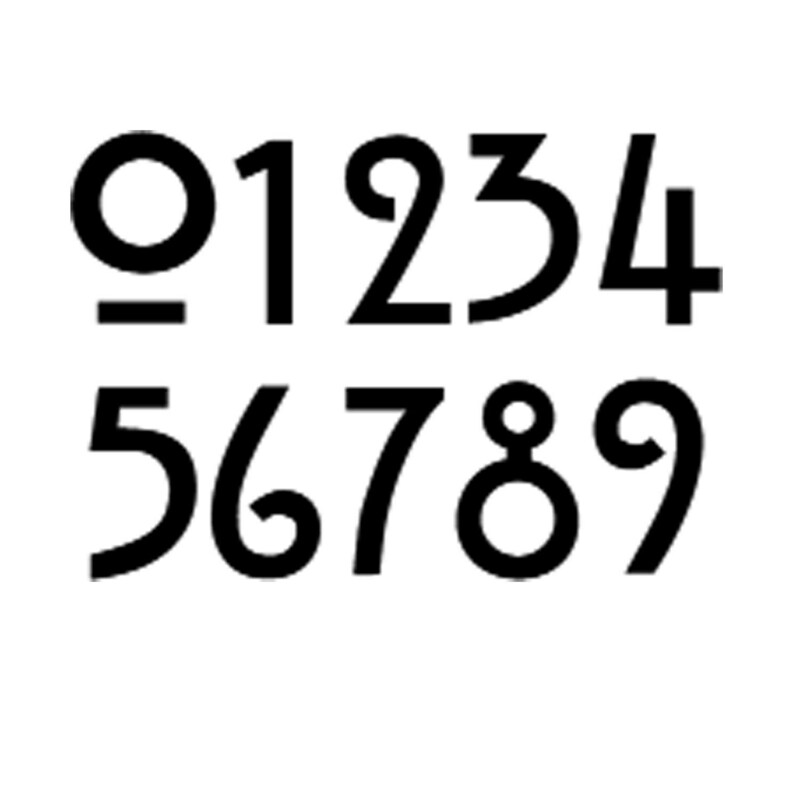 This item is for a 2 x number house sign 3"/75mm or 4"/100mm high numbers in Hill House, a Mission/Macintosh font - a 99% recycled product. The copper tabs cover the fitting screws for wood or masonry. All fittings supplied including wall plug. 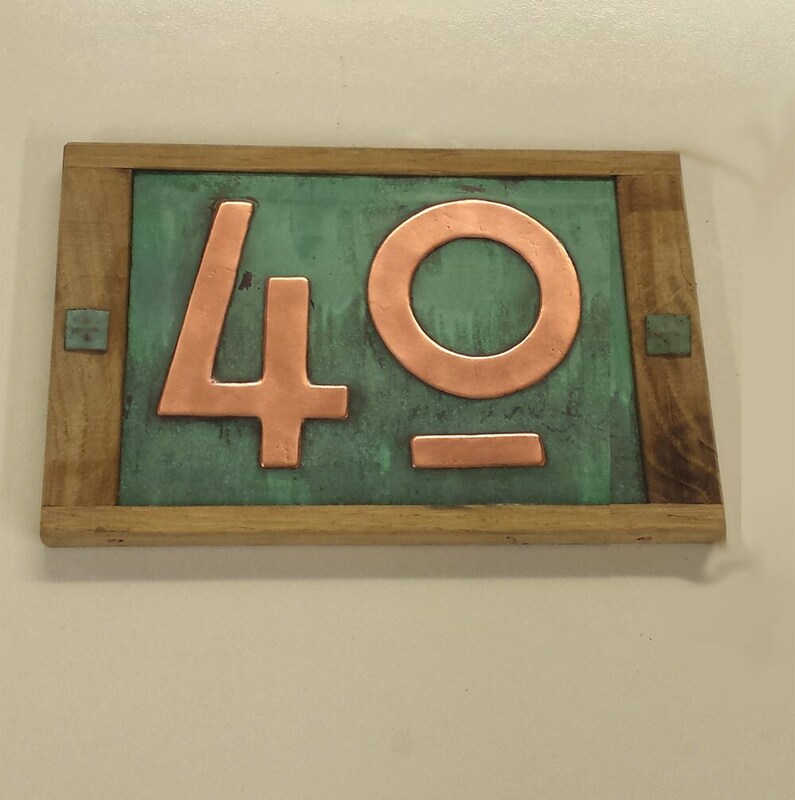 The copper back is glued to plywood and framed with oak which will develop to a weathered grey colour. The polished copper numbers are lacquered, the patinated surround is left 'as is' and will improve further with age and humidity. This plaque is stunning. No other way to describe it. Yes, delivery took some time but it is a custom piece. It is sturdy and just stunning. I love it. High quality item, pleased with workmanship, unfortunately it was almost a month late and poor customer service from seller. Really beautiful , very pleased, thank you. Wunderschönes Schild!! Hat alles gut geklappt. Vielen lieben Dank!! Really distinctive address plaque, exactly what I was looking for. The copper is beautiful!